Saved Over $11,500. - Sold in Just 25 Days! Description: Single level home with a large covered patio that's perfect for dining and entertaining. Split a/c in the living room and master bedroom but you will rarely need it because the cool trade breezes come from the back of the home most of the year. The kitchen is spacious and bright with Corian counters and mountain views. 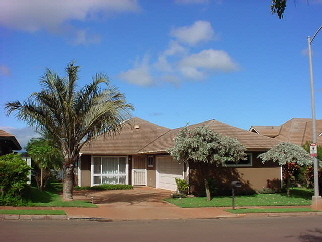 Beautifully landscaped with very nice neighborhood spacing between the homes. Savings based on companies that charge a 6% list fee.